posted a deal of the black one last week, this Sony DAB radio has been rarely discounted, Maplin had the black one at this special price, that deal is dead now, but the Red and White has now been reduced to £59.99. Great Radio! Why do all these DAB radios seem to go for the crappy retro look? 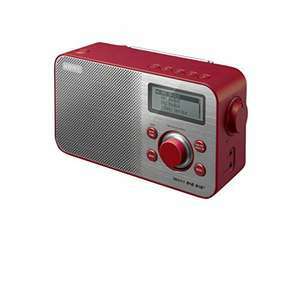 Yes but not everyone wants a music system, they want a nice small radio like this one. Sony do a smarter more minimalistic black DAB radio which can be had for £10-15 less. Missus has one and it’s very good but gets through the batteries like all DAB portables. Can be used on its mains plug but that defeats the portable bit somewhat.